This is my version of the yummy treat! 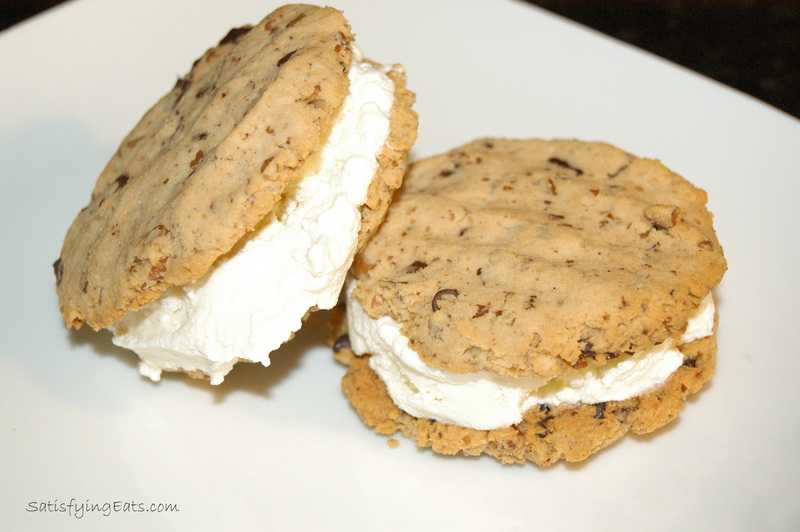 Nothing new in terms of recipes, but hopefully it’s a new idea… and you thought you would never eat an ice cream sandwich again!?! 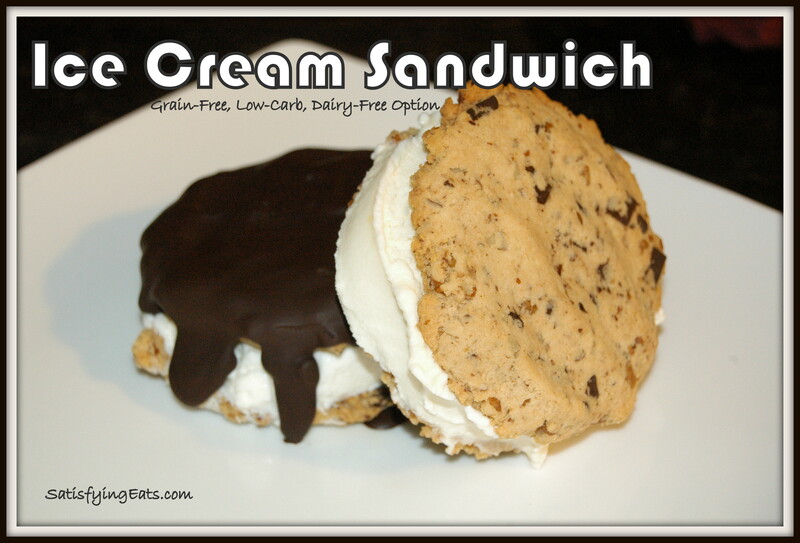 This yummy treat is grain-free, sugar-free, low-carb and can easily be made dairy-free! You will need 1 batch of my Happy House Chocolate Chips Cookies . This is a LARGE cookie. If you prefer smaller cookies, use the small scoop (1.5 tbsp) as indicated in original recipe. Make these cookies dairy-free by using coconut oil (virgin or expeller pressed) and dairy free chocolate chips (or this 80% cocoa bar that I LOVE). You will need 1 batch of ice cream, prepared according to directions. Don’t have an ice cream maker, use THIS recipe’s method. Try my Pecan Pie Ice Cream (you can minus pecans for plain vanilla). Use coconut milk to transform this recipe to dairy free. Want chocolate ice cream?? Use THIS recipe (also dairy free). Once ice cream has finished processing, place in the freezer for 30-60 minutes or until it thickens/hardens to make scooping out easier. 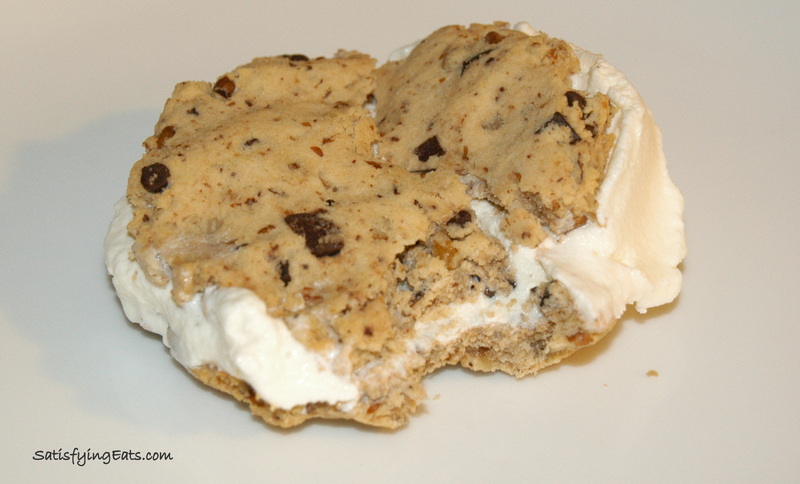 Once ice cream sandwiches are assembled, you can wrap in wax paper and store in the freezer (or eat immediately)! 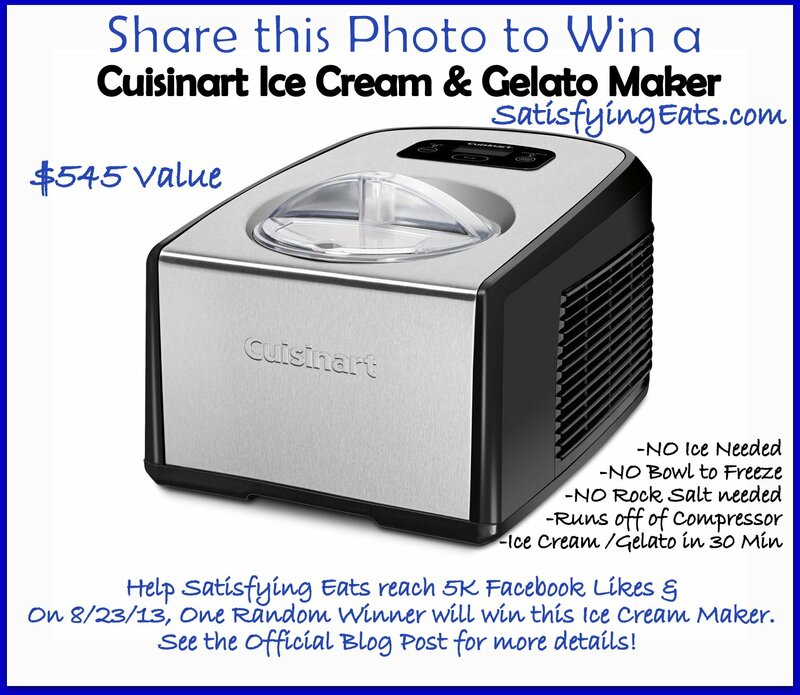 Be sure to enter the giveaway to win a Cuisinart Compressor Ice Cream Maker (over $500 value). This is just melted chocolate. Here are a few of my favorites: Enjoy Life, Tropical Traditions 80% cocoa bar, or Milk Chocolate Chunk Dreams recipe from the blog. Just melt chocolate and pour over cookie and allow to harden. My favorite is mint chocolate chip.